Like a diamond is perfected through hard knocks and pressure, Monica Riley says breast cancer unlocked her strength, sharpened her faith, and gave her the fire to overcome her natural shyness and help other women by telling her story. At 5:37 p.m. on December 1, 2014, at age 49, Monica was diagnosed with Stage 0 breast cancer. On Dec. 12, 2014, Monica had her first appointment with Dr. Houston Johnson in Toledo. On January 28, 2015, Monica underwent a successful lumpectomy and then began radiation therapy during her lunch breaks. She never missed a day of work as a letter carrier for the U.S. Postal Service. On May 1, 2015, after 33 rounds of radiation treatment, Monica was declared cancer free. Monica says she feels a deep impulse to be a resource for those around her worried about their breast health. In the early days of her treatment, Monica said her family was in deep denial. 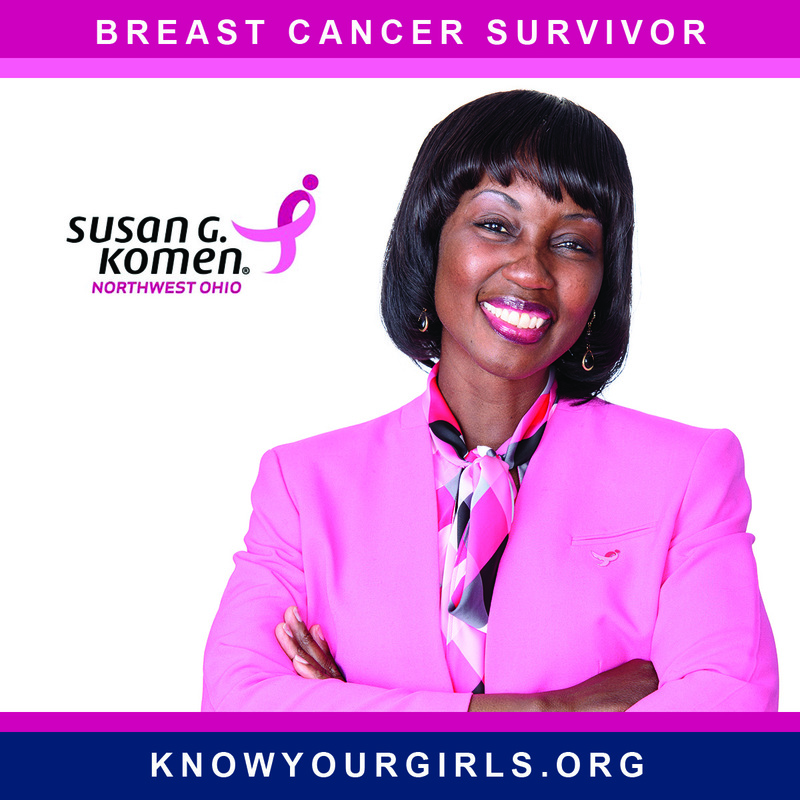 Thankfully, support for Monica came from Susan G. Komen Northwest Ohio. She was entered into the first-year survivor program and Komen Northwest Ohio provided her with education and resources. Using her own experiences and the information she gained from Komen, Monica has become an advocate for her friends, neighbors, and co-workers. “Having had breast cancer makes me appreciate life more and I try to take nothing for granted,” said Monica. “God has a plan and if anyone at work or at church needs advice or needs to tell me their story, I am ready,” said Monica. To celebrate Monica’s triumph over breast cancer, her friend and co-worker Vita helped her form “Team Black Diamond” (shown below) to participate in the 2016 Susan G. Komen Race for the Cure in Toledo. More than 50 people joined her team and donated hundreds of dollars to Susan G. Komen Northwest Ohio.